Our site has been designed to keep you bang up to date with the latest sign up offers from all the reputable online bookies. Notice the emphasis on the word “reputable” – the internet in 2019 is awash with a plethora of betting companies, but not all of them can be trusted with your money. The UK Gambling Commission is the responsible body for the all UK facing bookies. This didn’t used to be the case, but as of 1st November 2014, all gambling in Great Britain is regulated at POC (“point of consumption”) rather than the point of supply (i.e. the location of the customer). The impact of this is that “remote gambling operators who wish to advertise or deliver their services to consumers located in Great Britain now require a licence from the Commission regardless of where their equipment is located.” – quoted from this report in PDF format: Remote gambling and software technical standards document. As a simple check, each bookie should have a it’s license number from the UK Gambling Commission displayed at the bottom of it’s main page. If you can’t find it, steer clear. You’re trusting these companies with your cash. Cold hard cash. You wouldn’t just hand it to anyone on the street, so think twice before you make a deposit online too. It is important that the bookie has satisfactory deposit and withdrawal options, consider whether they accept the payment method you intend to use. Also, it is worth looking at the time taken to withdraw your funds after a winner. Often this can be significnatly longer than it takes to deposit – if its too long, maybe something isn’t quite right. In 2019, moving money around the internet is commonplace and faster than ever. Yes – there will be AML (“anti-money laundering”) and identification checks, but this should be a streamlined process designed to keep the punter happy, not have them tearing their hair out trying to get their money back. What’s a decent bookie reputation worth? For UK based punters, a lot of the biggest brands still have a presence on the high street. This is a sign that they are a long standing, established company and at least gives you a point of reference for their operation. In the early years of the world wide web people have always preferred to use online services relating to real bricks and mortar premises. However, things do change and nowadays people will happily use internet-only brands. The benefits in cost savings are often passed onto the customer, which has to be a good thing! But there’s no harm in reading a few reviews and checking out the lie of the land. Sportsbook customer service quality and availability. Here’s something you may well never need. Most punters are up to speed with using an online bookie and quite comfortable just getting on with it. But what if something goes wrong? How good is the customer service? Given the money at stake you’ve got every right to expect them to bend over backwards to help you. So perhaps try live chat before joining, is it easy to get hold of them? What about a physical phone number or an address you could write to? Again this ties in with the other sections on this page, so ensure you do your homework. Finally, check out the help and support section. Do they have a comprehensive and thorough FAQ covering all their markets, bet types and the rules around them? Make yourself familiar with them before you place your first bet. So our mission is to cover all these for you. The brands that you’ll find on the site tick all the boxes above, and hopefully many more besides. But things can change, and we aim to keep a close eye on the market and update our site as and when anything significant does. Just recently one of the bookies we used to promote crossed a line – they didn’t treat us as a valued partner and therefore we can not recommend them to you. They have been removed and we will do the same to any others who we / you can’t trust. What else will you find on the site? Each trusted bookmaker is given a full review on their own unique page. These tend to cover the main sign up offers from each brand, as well as details of any ongoing promotions or loyalty offers they may have. We also cover specific events across the world of sport. 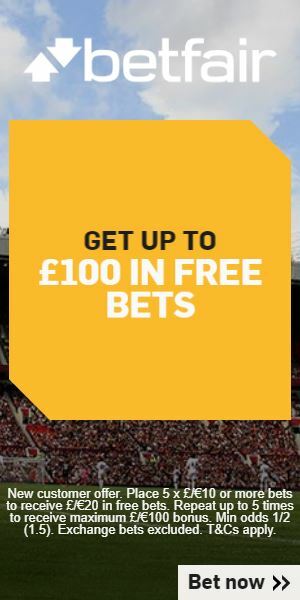 Often when a big race meet or football match comes along you’ll find the bookies falling over themselves to offer you a better sign up bonus or enhanced free bet. We detail these in our events section to ensure you can always find the latest promotions and short lived offers – this is often where some of the real value betting can be found. Good luck whoever you bet with.